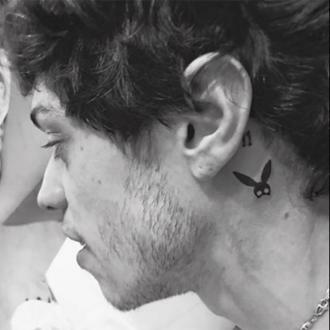 Pete Davidson has got two tattoo tributes to his girlfriend Ariana Grande - her initials on his thumb and her famous Dangerous Woman bunny ears behind his left ear. Pete Davidson has got two tattoo tributes to his girlfriend Ariana Grande. 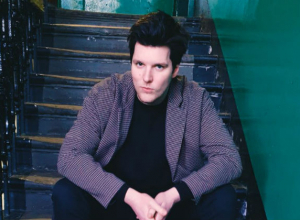 The 'Saturday Night Live' star got the 'No Tears Left To Cry' hitmaker's initials permanently inked onto his thumb and her famous Dangerous Woman bunny ears behind his left ear. It is believed that tattoo artist London Reese from The Black Lantern did the inking in Los Angeles. Ariana and Pete recently made their romance Instagram official after Pete posted a picture of the new couple dressed in matching 'Harry Potter' robes. And Ariana's new romance with Pete comes just weeks after she ended her two-year relationship with rapper Mac Miller and dubbed their time together as ''toxic''.